One of the funnest parts about moving our farm to our new property is that we got the opportunity to rethink everything about how we had been farming. Should we change the length of our beds? Should we squeeze more rows per bed? Fewer? How should we best manage nutrients and fertility? What tools will we use to make our system work best? I really love thinking about systems and the equipment that makes them most efficient, so this year was especially fun for me. Many people are drawn to the idea of small-scale agriculture because it relies much more on human-power and less on internal combustion horse-power. Our experience, however, has been shaped by a gradual recognition that in order to make our business financially sustainable, we have to farm more acres than can be worked solely by human power. We are constantly thinking about what the best size is for our farm. We want to be big enough to support our family plus the families of our workers, but small enough that what we do each day can still be called farming and not managing. Right now, we think that 10-12 acres might be the right size (though… ask me in two years, and I’ll probably have a different opinion). So, with the idea that we’d be farming in the 8-12 acre range for the foreseeable future, this past winter and spring we set about acquiring the right equipment for our farm. We invested in four categories of equipment – things that till the soil, things that kill weeds, things that put seeds in the ground, and things that power the other three categories i.e tractors. Earlier this year, we wrote two posts about what tractors are for. For this post, I’m going to focus on the first category – things that till soil. Next post, I’m going to write about our fantastic new Jang seeders. As you may know, vegetables prefer a coddled existence. They don’t like neighbors living too close, they don’t like slugs or bugs, they like their soil just so, not too dry, not too wet, not too compacted, not too fluffy. 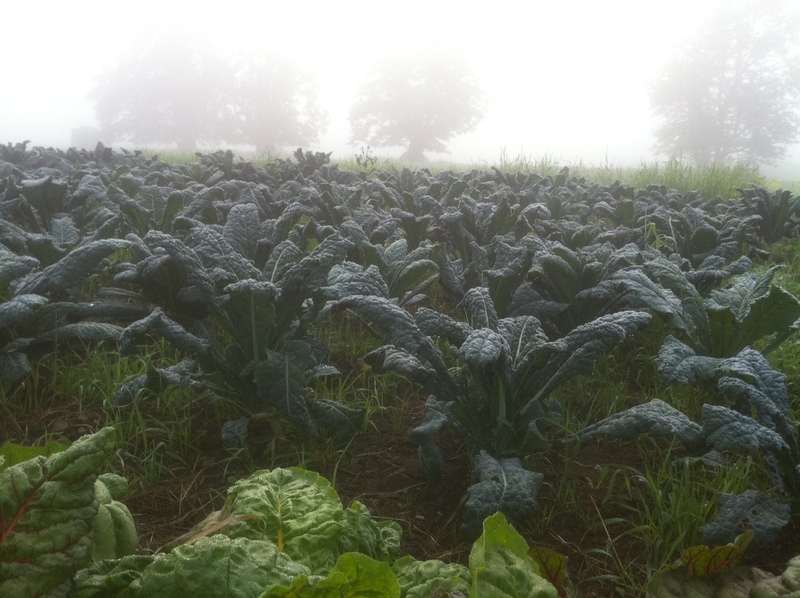 As farmers and gardeners, we help our veggies thrive by creating the right environment for them. On our farm, after a field has been created by plowing, it takes us three or more passes with the tractor to get a bed ready to be planted. First, we use a reciprocating spader or a mini-chisel plow for deep tillage. These tools loosen the soil 8″-12″ deep or more – aerating it, improving drainage, killing covercrops and weeds. 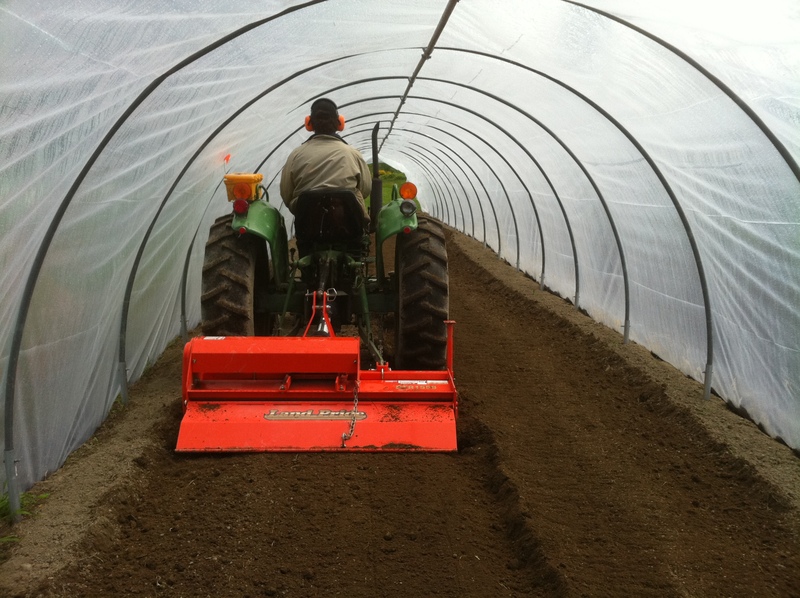 Next we use a rototiller, tilling as shallowly as possible to pulverize the top layer of soil into a fine medium. 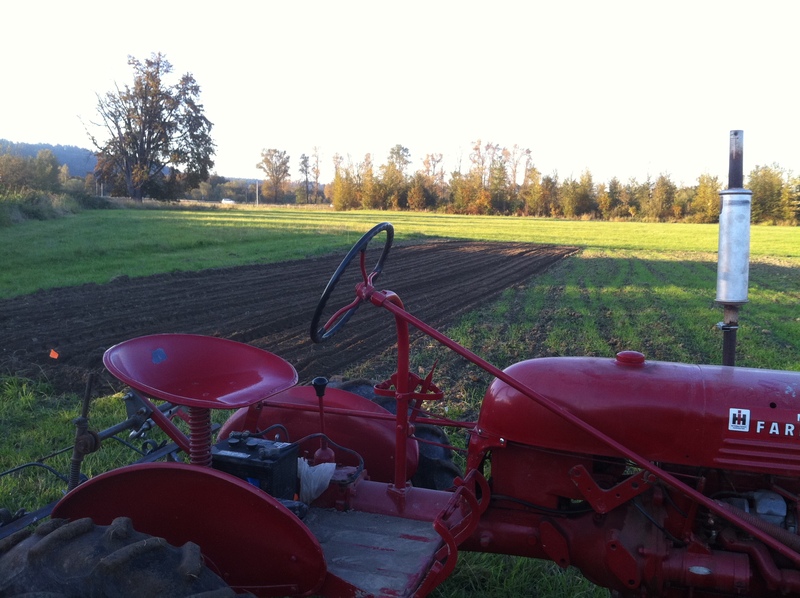 Lastly, we make a pass with the Farmall Cub to create walk-paths and mark our rows for planting (though this winter, I’m working on a modification to the tiller that will, hopefully, eliminate the need for the last pass with the Cub). As far as our choice of implements for making beds, we are very happy with these three tools. For the Pacific Northwest, the spader is surely the best tool out there for working soil in our wet springs. 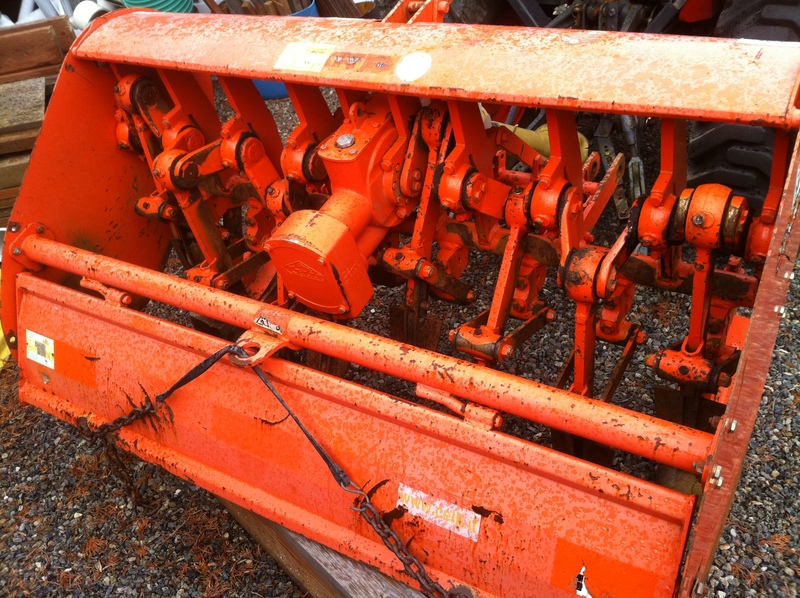 It’s positive attributes are that it doesn’t require a lot of horsepower or traction, it works better than anything else we know of at turning and aerating wet soil, and it doesn’t harm the soil structure by pulverizing or inverting it. The three drawbacks of spaders, that we’ve found, are that their operating speed is very slow (1 mph or less), they are delicate, finicky tools that can be difficult to fix when they break, and they are really really expensive (like $10k or more new). This spring, while I was perusing Craig’s List for farm equipment, I found one for sale and hung my head. “Siri,” I said reluctantly, “looks like we have to buy a spader now too.” It was relatively inexpensive for a spader ($3000) and tilled a 60″ width… exactly what we would have been looking for, had we been in the market for a spader. So we bought it. We learned about the spader’s drawbacks the hard way this summer. After relying on the spader to do preliminary field prep on most of our acreage this summer, I noticed that one of the many bearings on the machine was severely worn. It still worked, but I worried that continued use could result in catastrophic damage. I managed to repair the bearing, but it was a big project that ended up taking a few weeks to complete. bought ourselves a fantastic insurance policy. As it turned out, from August until the end of the year, we used the mini-chisel in place of the spader for all of our deep-tillage bed prep work. It also doubled as a great way to incorporate old vegetables back into the bed once we were done harvesting them. The greatest virtues of mini-chisel plows are that they are really inexpensive ($1000 new, $300 used), they loosen soil deeper than the spader, they are very sturdy, and the faster you go the better they work. It would take us 3-4 hours to spade an acre, but only an hour to chisel it. The chisel plow does have a few drawbacks. They require more horsepower than the spader and good traction, so they won’t work well in our wet springs. They also leave furrows, requiring us to till more deeply on our tillage pass to get a smooth, even surface. In one part of our field, the chisel left the field so cloddy, that we ended up having to make two passes with the tiller. It also can get clogged with debris if it’s working ground that has a lot of weeds or vegetable matter still residing in it. Nevertheless, for the time saved and the way it works our ground so deeply, I’d heartily recommend the mini-chisel to anyone farming on this scale. The second pass we make when forming beds is with the rototiller. Despite its bad reputation, for a vegetable farm like ours, a tiller is a very important tool. The reason the tiller is so important is the same reason it’s so reviled; the tiller pulverizes the soil. For the microbial, organic health of the soil, this is terrible. Tiny particles mean lots of surface area, which means (initially) lots of oxygen burning up organic matter. It also means lack of soil structure, which means compaction, poor drainage, lack of oxygen, lack of beneficial microbes… the list goes on. 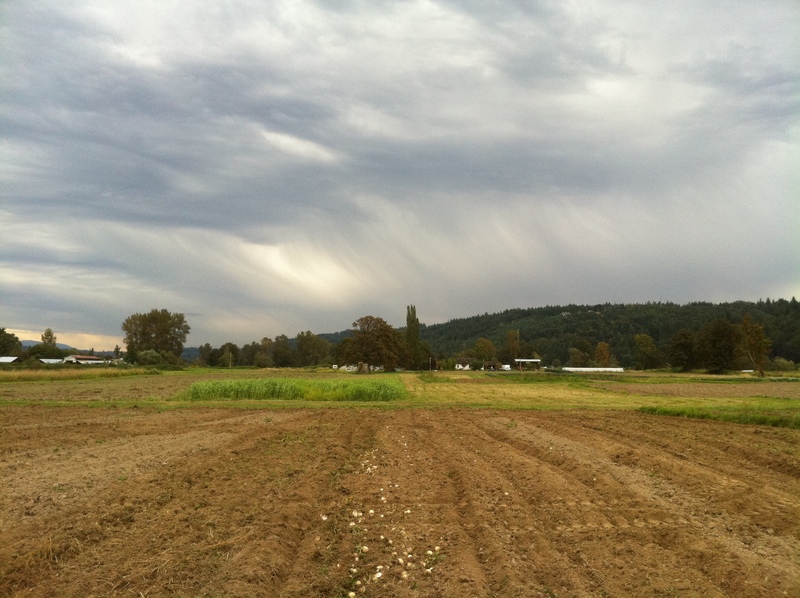 However, for the vegetables that get planted into just-tilled soil, life is good. Life or death of just-planted vegetable seeds can be determined by fractions of an inch. Too deep and the just-germinated seed won’t reach the surface to begin photosynthesis. Too shallow and the seed may not germinate, or might germinate but not be able to get to the moisture below the surface. Tilling the surface of the soil enables us to calibrate our seeders accurately, ensuring consistent germination of the many rows of vegetables we direct seed. Tilling also makes killing weeds easier for us. Clumpy, cloddy soil is really hard to work with a hoe or with tractor cultivators. 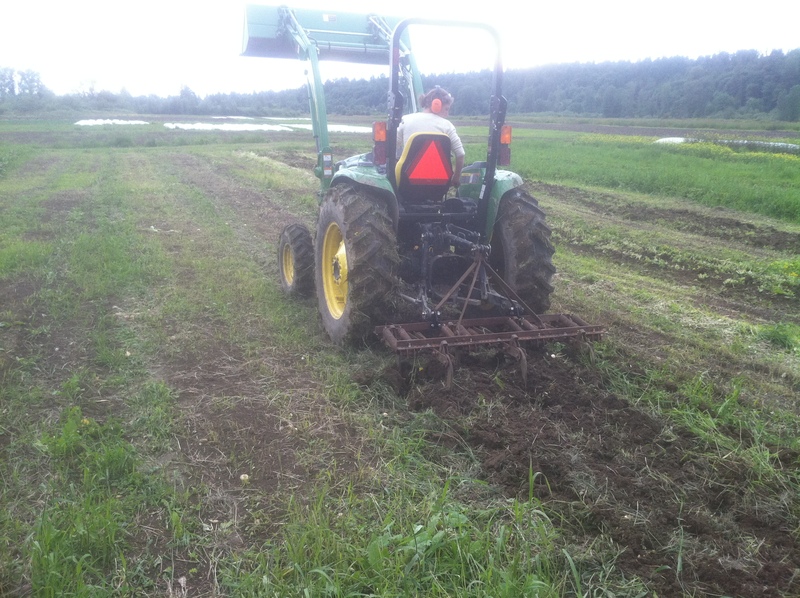 In order for us to coddle our vegetables, to create a weed-free environment for them without chemicals, we either hoe or use knives mounted to a tractor to uproot or slice weeds at the surface of the soil. Clods make this cultivation impossible. The tiller makes the soil a uniform medium through which our hoes and knives can flow without obstruction. This past winter, knowing that we were moving our farm to a new location, we were faced with what seemed like a tidal wave of necessary and expensive purchases. The most important may have been the rototiller. Tillers are fairly inexpensive. We were looking for one that tilled 60″ wide, and these seemed to cost between $2-4000 new. 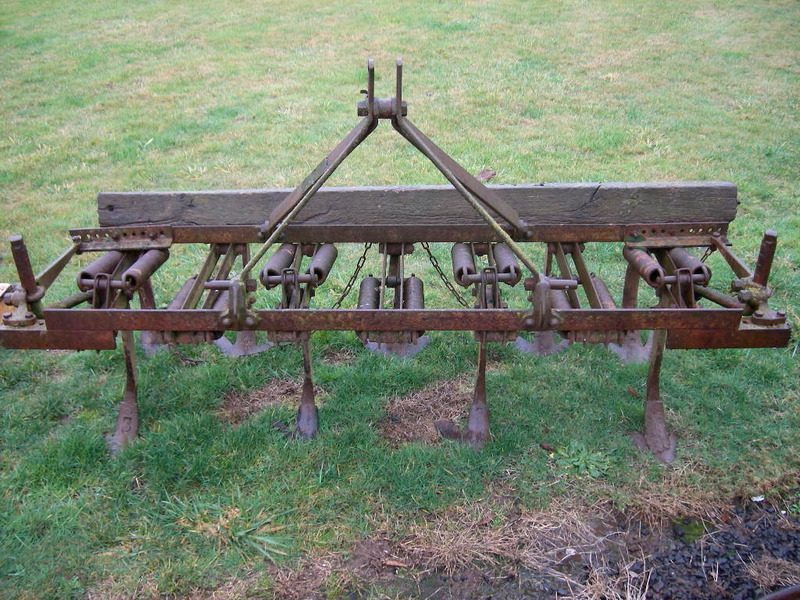 I found, also on Craig’s List, an unused tiller that tilled (allegedly) a 58″ swath and bought it. It has served us very well, even though it’s lighter duty than we want and actually only tills 54″. The reason the tillage width is important is because, following behind the tractor, it doesn’t un-compact the soil compacted by the tractor’s rear tires. Our beds are 60″ wide: 48″ of bed-top and 12″ of wheel path. The area the tiller misses shouldn’t matter, so long as we align our wheel path exactly over the untilled/compacted strip. This, however, is more easily said than done. 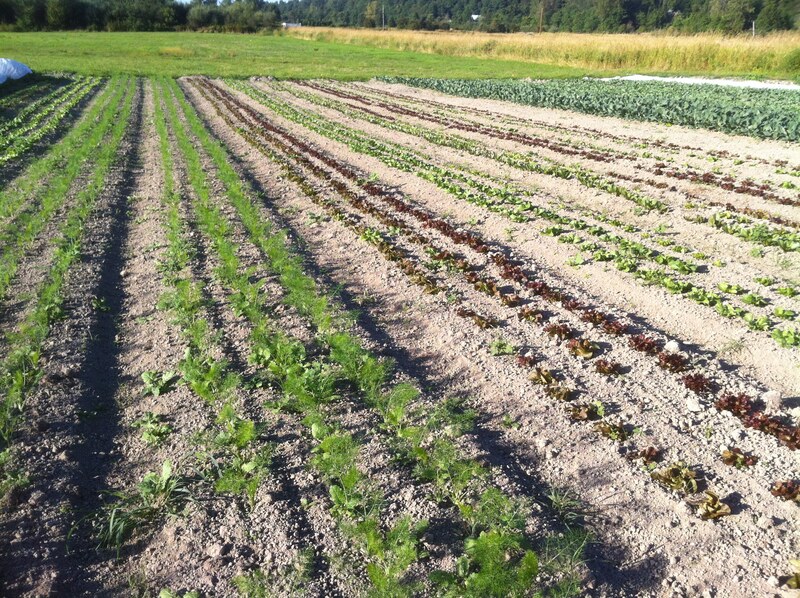 Frequently this year, we observed rows of vegetables that weren’t as happy as their neighbors. When we dug beneath them we found their roots growing in compacted soil. In retrospect, I wish we had done a few things differently in regards to the tiller. I wish we had either purchased a heavier duty tiller that tilled 60″ (or even 66″) to ensure that the wheelpath was tilled, or bought a tiller that only tilled 48″ so that the tiller only tilled between the wheels of the tractor, letting the compaction left by the tractor tires be the walk path (which is what ends up happening anyway, when the Cub makes the final pass to seed or mark rows). As I alluded to earlier, this winter I plan on modifying the flap on the back of our tiller so that the final product it creates is a raised bed 48″ wide with rows marked by the tiller. I hope to have some pictures of that project to post by early January. Stay tuned, for the next exciting installment of the Local Roots Small Farm Equipment Review: Part II – Our Awesome New Seeder. Awesome post! would love to see a more detailed photo of the cultivators on your cub. I’ll write a post about our cultivators… though in truth, it’s a topic I don’t feel I have much knowledge of…. hope your winter is going well! As a 6-acre, CSA farmer entering my 5th season in Montana, I feel like we are living parallel lives. I have been thinking about cultivation all week while planning for next season, and I found your blog during a search for Jang 3pt. mounted seeders. I’m looking forward to the next installment that discusses these seeders…it would be nice to get your feedback before I pull the trigger on them. Enjoy your winter! I think that farming in Australia has moved from conventional tractor plowing to utilizing innovative farm machinery. I see that you have used some good machinery but raised bed farming equipment is excellent for making raised beds. Looks like the post is a year and a half old but still as I guess farming might be going on, it can do some good. Hi. Nice blog! Your methods and system are very similar to ours. 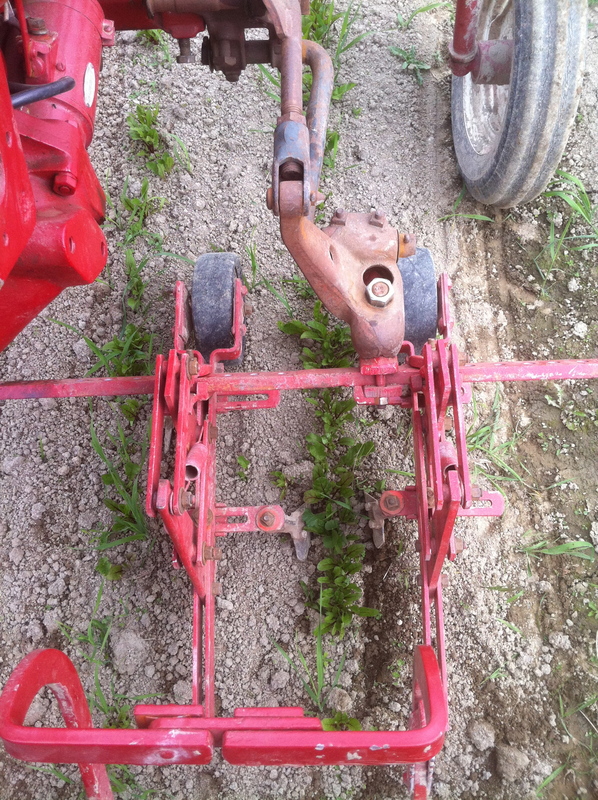 I’ve been looking for a cultivator that will mount under a Farmall 140 for shallow tillage and narrow rows. Do you have any information about the cultivator in the picture above? The one with guide wheels and side knives. I haven’t seen that type before. Would you be able to refer me to a source? Cheers. That cultivator mounted under our cub is a modified Allis Chalmers G cultivator with knives. You can sometimes find them on ebay, but they are rare, expensive, and expensive to ship. A much easier solution for your 140 is to get knives welded onto the cylindrical shanks that already work for the International style toolbar. 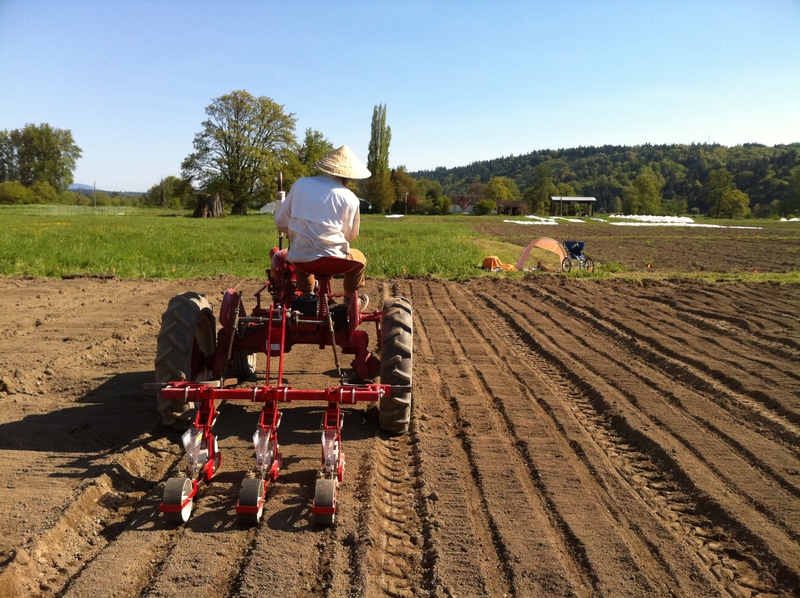 If you really want that G cultivator, you might check with Dan at http://www.gubserfarms.com/. That’s where we got our cub and those G cultivators.